Houses in Multiple Occupation (HMO) have been very much in the news over the last few years with many property investors looking towards this particular avenue to create long-term income streams and long-term opportunities for capital appreciation. It can be very easy to be drawn into this market without researching in great detail the potential dangers. So what are the potential pitfalls in the HMO sector? Which issues do many investors seem to overlook? When looking at any investment it is better to err on the side of caution than to be overly optimistic which gives you limited upside. When looking at a particular area of the country you need to consider both the short term and the long term outlook. If there are potential changes in the longer term which could impact occupancy rates then you need to factor these into your calculations. Looking at the market today is not necessarily the best way to consider a long-term investment because you need to have confidence going forward. Ignore the press comments, both positive and negative, do your own research and come to your own conclusions. What is your honest gut feeling? It is all good and well finding a property to renovate and calculate the long-term rental income but what about the short term renovation costs? The majority of renovation projects will carry on for longer than expected, be more expensive than forecast and can sometimes severely impact your short to medium term cash flow. When looking at renovation costs ensure you leave some headroom in the event that unexpected delays and costs emerge. Those who work on very fine margins when looking at renovation costs are more likely to place themselves under significant financial pressure which could impact any other assets they hold. While there are average room rates for any area and any HMO market, you need to be a little streetwise with regards to the maximum room rate you can charge. You want to be competitive, but you want to bring in as much rental income as possible, you want to offer a quality service, but one which is cost effective and offers acceptable long-term returns. There may be periods of competition in your local HMO market and you may need to react to average room rate movements. Again, as we mentioned above, it is advisable to err on the side of caution when calculating your expected room rates which will hopefully give you scope for upside. It will depend upon which area of the country your HMO investment is situated but areas such as university cities will have periods of low occupancy during the summer months. 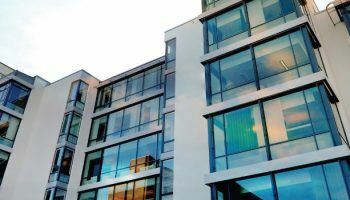 You may be able to charge relatively high rental rates to this particular market during term time but you need to ensure the income from the busy period will cover the relatively low occupancy period. Work out your cash flow, your financial liabilities and see what kind of headroom you have. When estimating your annual cash flow it is vital that you have enough put aside from the busy months to cover the lean periods. This may sound very simple but it is an issue which has caught out many HMO investors. How difficult is it to build up your own property portfolio?